IASB Homeroom, in addition to being a place for attendees to gather Conference information and learn about IASB products and services, was the headquarters for three prize giveaways, with 31 prizes. Click below to read about the contests and the drawing winners from 2017. 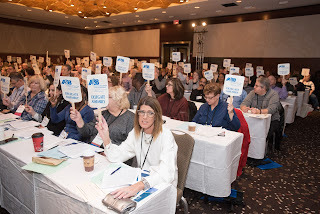 Handouts from many of the panels presented at this year's Joint Annual Conference are available through the Members Only portion of the IASB website. Panels with links to their materials are listed by the panel title, hotel location, and room name. The panels appear in chronological order of the Conference, i.e., by the day and time slot they were presented. The only exception to this order is the board secretaries' panels. Those materials are listed after all the other panels. Note: Panels are only listed if materials have been submitted. Additional panels and their online materials will be posted as they are received. The handouts are links to PDFs or PowerPoints. The links will be available until Sep. 1, 2018. To download the panel handouts, simply click on the link for the desired document. The handouts are available by logging-in to the IASB member database, choosing the Members-Only tab at the top of the page, and selecting Annual Conference from the drop down menu. Once there, find the section entitled “2017 Conference Handouts” and follow the link. Handouts are available to anyone whose name is registered in the IASB member database. This includes board members, superintendents, secretaries, and other individuals associated with IASB member districts. For detailed instructions on how to log in to the IASB member database, click here. 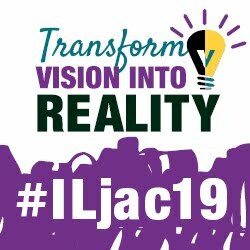 Licensed Illinois teachers who were either registered Conference attendees (board members) or registered guests of attendees were able to receive Professional Development Clock Hours for their participation in the 2017 Joint Annual Conference. This year's roster includes approximately 180 individuals who took full advantage of the offer. IASB is an approved provider for the Joint Annual Conference. That means that any licensed Illinois teacher who was registered as an attendee or a guest could receive nine credits for attending the full Conference. Evidence of Completion (ISBE form 77-21B) and Evaluation (ISBE form 77-21A) forms were available for pick-up at the Conference registration desk. Participants were required to sign in and sign out, in person, at the Conference, to be eligible. The IASB photographer had access to all facilities and events at the 2017 Joint Annual Conference and produced hundreds of digital images from this year's activities and functions. Photographs chosen for this gallery are ideal for use in school district newsletters, websites, and news releases to local media. The photos are also intended for personal keepsakes. A select number of event photos have been and will be published in various IASB materials, newsletters, magazines, websites, and social media. Members and guests are invited to view the entire Conference photo gallery at no charge. Photographs may also be purchased for a fee. Click here for details about the Conference photo gallery. The Quincy School Board and the Quincy Federation of Teachers and Educational Support Personnel reached an agreement Nov. 26 on a new contract, avoiding a strike by more than 400 teachers. Negotiators worked out a four-year deal, since ratified, to run through the 2020-21 school year. The Rockford teachers union and the school board in Rockford SD 205 continued to negotiate after a contract offer was rejected on Oct. 22 by the 1,741 members of the Rockford Education Association. But Plainfield CCSD 202 and its local teachers’ organization recently finalized a new labor agreement. After a year of negotiations and a threatened strike, members of the Association of Plainfield Teachers voted to approve a five-year contract with the district on Nov. 1, and the school board ratified the deal on Nov. 6. Changes to the Plainfield pay scale are retroactive to July 1, and the contract will run through June 30, 2022. The union represents roughly 1,900 classroom teachers and other certified staff. In Palatine CCSD 15, members of the Education Support Personnel Association union, which went on strike on Oct. 15, returned to work without a contract after a two-week strike. The association includes school nurses, special education classroom aides, and school secretaries. Schools remained open, and a federal judge ordered the employees considered “essential” – nurses and some aides – back to work on Oct. 18. The board presented an offer on Oct. 27 that was rejected; however, as mentioned, striking employees returned to work without an agreement and negotiations continue. Nearly 450 workers are members of the union in District 15 who have been without a contract. The main sticking point in the Palatine negotiations appears to be annual pay raises. Elsewhere, a contract impasse between A-C Central CUSD 262 (Ashland) and the A-C Central support staff came to an end when a three-year contract settlement was reached on Dec. 6. Negotiations had broken down after three months, according to a State Journal Register newspaper report on November 8. At issue were wages for transportation staff, cooks, classroom aides, secretaries, and custodians. The tentative agreement still requires final approval by the school board and the union, but district officials said things are expected to return to normal — with no strike anticipated — once that has happened. Bargaining between the two sides began in August. The ACCEA voted on Dec. 7 to approve the agreement; the school board is slated to approve the agreement at its Dec. 20 meeting. Officials have stated the agreement will last three years, retroactive to the beginning of the fiscal year. In other labor developments, a contract dispute between the board of education for West Chicago CHSD 94 and the local teacher union have stretched well into December as the two sides remain far apart on proposed salaries. Bargaining teams have been unable to reach a deal after more than two dozen formal sessions and 11 subcommittee meetings that began in April 2016. The school board reportedly presented its latest offer, a three-year deal, during a session with a federal mediator Nov. 27. Talks with the West Chicago Teachers Association, the union that represents 141 district employees, have dragged on for more than a year, with bargaining teams still deadlocked over salaries and health benefits. Union members reportedly were preparing to make a counterproposal when negotiators held a mediation session Dec. 13. Another meeting with the mediator tentatively is scheduled for Dec. 20. The high school serves about 2,100 students from Carol Stream, West Chicago and Winfield. More information is available from the Illinois Education Labor Relations Board (IELRB), which collects public postings for education-related final offers. Current IELRB postings can be accessed here. The 2017 Joint Annual Conference is a fresh memory, but it is not too early to begin thinking about the 2018 Conference. In fact, school districts and related education organizations are being invited now to submit their proposals (RFPs) for “Share the Success” panel presentations. Success stories from local school districts and related organizations have long been a strong drawing card at the annual IASB/IASA/IASBO Conference. School board members and administrators from every division come to learn and benefit from the practical experiences “Share the Success” panel presentations provide. Each year, a select number of districts and organizations are chosen to make presentations. These 60-minute panel sessions — presented by board members, administrators, and other school or community members who were involved in the particular programs to be showcased — are based on actual school system experiences. Presenters give insight and practical information on how to solve common problems. They share discoveries and innovations from programs succeeding in their school districts. They also provide tips on how school leaders can achieve such successes in their own districts. Proposals for the 2018 Joint Annual Conference are due in the Springfield office by Friday, February 16, 2018. Click here for submission forms and complete details on developing a Share the Success proposal. IASB’s Fiscal Year 2017 Annual Report is now available online for Association members. The statement outlines the Association’s financial activities for the year, including income, expenses, total liabilities, and net assets. The data also looks at the make-up of IASB membership and the services, products, and resources available for member districts. The purpose of the Annual Report is to explain and show what the Association is doing, and the means used, to fulfill IASB’s mission and vision. In addition to providing a yearly financial update, the report highlights changes that have occurred within the board of directors and IASB staff. The entire Annual Report is posted on the Members Only portion of the website. To access the document log in to your IASB account, select the Members Only tab at the top, and choose the Governance selection from the drop-down menu. Annual reports dating back to 2013 are listed within the Members Only section. IASB will host a free webinar for Association members regarding social media policies and their importance to school board members. 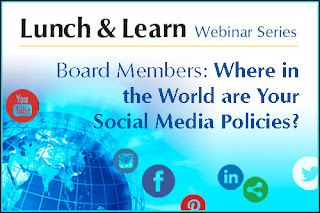 “Board Members: Where in the World are Your Social Media Policies?” aims to address what policies/procedures apply to school board members' social media usage and where you can find those policies. Kimberly Small, IASB general counsel, will present the interactive webinar running through a number of social media-based scenarios, while pointing to board policies that cover such situations. The hour-long webinar will begin at noon on Tuesday, January 9, 2018. Registration is available through IASB's Online Learning Center. Visit iasb.com, and select the yellow "My Account" button to log in, then choose the red Online Learning tab at the top of the page. This will be the second webinar presented by IASB, with additional topics to be announced on an ongoing basis. The first webinar, “PRESS Issue 96 – 10 bundles of Legislative Joy,” was held at the end of November and can be viewed here. On Friday evening, Conference Committee members released the final version of the tax code rewrite, which reconciles differences between the House and Senate bills. It is anticipated the House and Senate will vote on the final version as early as Tuesday. The Joint Committee on Taxation's preliminary budget estimate of the Conference Committee bill for H.R. 1 indicates that the measure would add $1.456 trillion to the federal deficit over Fiscal Years 2018-2027. According to The Washington Post, the "measure curtails the federal deduction for state and local taxes. Advocates worry that states, counties and cities will have a tougher time raising money for schools - which get nearly all of their money from state and local tax revenues - because those taxes will no longer be fully deductible." This provision modifies section 529 plans to allow the plans to distribute not more than $10,000 in expenses for tuition incurred during the taxable year in connection with the enrollment or attendance of the designated beneficiary at a public, private, or religious elementary or secondary school. This limitation applies on a per-student basis, rather than a per-account basis. Currently, individuals are permitted a deduction for certain taxes paid or accrued, whether or not incurred in a taxpayer's trade or business. These taxes are: ... property taxes; (ii) state and local personal property taxes; ... At the election of the taxpayer, an itemized deduction may be taken for state and local general sales taxes in lieu of the itemized deduction for state and local income taxes. Under this provision a taxpayer may claim an itemized deduction of up to $10,000 ($5,000 for married taxpayer filing a separate return) for the aggregate of (i) state and local property taxes not paid or accrued in carrying on a trade or business, or an activity described in section 212, and (ii) state and local income, war profits, and excess profits taxes (or sales taxes in lieu of income, etc. taxes) paid or accrued in the taxable year. This provision applies to taxable years beginning after Dec. 31, 2017, and beginning before Jan. 1, 2026. The language prohibits an individual from claiming an itemized deduction in 2017 on a pre-payment of income tax for a future taxable year in order to avoid the dollar limitation applicable for taxable years beginning after 2017. Click here to read the entire Federal Legislative Report 115-07, including additional information on the tax reform proposal, net neutrality, and the Every Student Succeeds Act. The Illinois State Board of Education (ISBE) has announced it is re-constituting its entire Early Childhood Block Grant for Fiscal Year 2019 (FY19) and every school district that wants to receive a grant must re-apply, even if planning just to continue current services. This presents a chance for grant winners to change things around – to do more full-day school programming, for example, focused on higher-need children. The preschool applications are due in early January 2018, and in early February for the grades 0-3 programs. ISBE has issued a Request for Proposals (RFP) for the Prevention Initiative program for FY19. The RFP form must be submitted by 4 p.m. on February 9. Please note that an RFP for the FY19 Prevention Initiative program is not available for electronic submission in the Illinois Web-Based Application System (IWAS), the usual channel for filing applications. Eligible applicants must submit an Intent to Apply before submitting an application. Those proposing to provide services for children and families within the Chicago city limits must apply for funds through Chicago Public Schools. Officials say this opportunity to reinvent the local prevention block grant has not been available for many years, and communities should think broadly about what is required in order to better serve the needs of local children under age five, and their families. School districts must submit a FY19 application to continue and expand existing programs or to access new funding to begin new services. If a program has already submitted a proposal for the FY18 Prevention Initiative, it must still apply for the FY19 Prevention Initiative. Please check the ISBE RFP page regularly for resources, including the RFP rubric and updates. A Bidders Webinar is forthcoming. Questions should be directed to the Early Childhood Division of ISBE at 217/524-4835 or emailed at earlychi@isbe.net. Eighteen Illinois school districts have confirmed their participation in the IL-EMPOWER pilot project. Once a final district has completed the confirmation process, all 19 school districts will be announced by the Illinois State Board of Education (ISBE). Thirty providers have been approved by ISBE to administer services under the new statewide school improvement system. A full list of providers, an overview of their services, and their contact information is available here. IL-EMPOWER will replace the previous single-provider model used by ISBE to assist districts with school improvement. The new system is intended to give schools more choices, while focusing resources on the needs of the whole child. Under the new Every Student Succeeds Act (ESSA), all districts will be required to report per-pupil expenditure data at both district and school levels beginning with 2018-2019 school year. ISBE recognizes the challenges this will present for schools across the state and is working to align the requirements of the Evidence-Based Funding Formula (EBFF) and ESSA to minimize reporting as much as possible. To assist with the reporting requirements, ISBE developed an “Introduction to Site-Based Expenditure Reporting” webinar to help districts begin preparation for the new standards. The webinar slides and a question and answer document are also available. ISBE has also created a number of new EBFF resources and updated others to reflect common questions. A quick guide and a technical guide to base enrollment have been posted, in addition to an updated FAQ. Three new webinars to aid districts in “Understanding the Evidence Based Formula Distribution Calculation” are also available. The webinars are broken into three modules: Determining a district’s adequacy target, determining a district’s local resources, and the distribution of state funds. At the close of the Delegate Assembly at the 2017 Joint Annual Conference, delegate Don Choate, of Jonesboro CCSD 43, was honored with an ovation for 50 years of service as a school board member. “It has been my honor and privilege to make a contribution to our schools for so long,” Choate, who is 82, said in recalling the recognition. He noted this was the first time he had ever served as his district’s representative at an IASB Delegate Assembly. Choate was previously on hand for a similar ovation back in 2009, at the 77th Joint Annual Conference. At that time the longest-serving board member was John Vancil, of DuQuoin, who was likewise recognized for 50 years of school board service. Choate was recognized at the close of the Delegate Assembly. Choate said he is proudest of having formerly served “as board president for 24 years without ever missing a meeting, either regular or special.” He adds that he also previously held the posts of vice president and board secretary. He has served IASB, as well, representing the Shawnee Division as Resolutions Chair, and serving on the governing panel of the Workers’ Compensation Self Insurance Trust, a pooled insurance program for school districts that is sponsored by the Association. 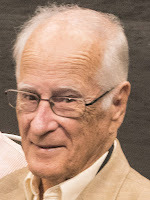 Choate, who attended college at Southern Illinois University, grew up in Jonesboro, graduating from Anna Jonesboro Community High School with the class of 1952. His career has been focused on marketing and management, utilizing his post-secondary classwork in those areas, and he is currently the manager of store operations and sales for an auto parts company located in Anna. Choate says IASB has helped him develop as a school board member, and he tries not to miss any IASB division meeting or annual conference, nor does he miss many conferences of the National School Boards Association (NSBA). and may be particularly valuable for Advocacy Institute participants. At noon on December 12 the presentation will cover the seven key elements of public policy advocacy storytelling. Based on the premise that people have trouble remembering facts, but they never forget a good story, it will walk participants through an exercise designed to develop their own personal story. The aim? To move the hearts, minds, and VOTES of lawmakers. Organizers say effective advocacy appeals to the heart, the head, and political health of the legislator, and thus participants will learn how to organize and present their stories exercising the tactics actors use. Insiders say this webinar may be particularly valuable for those who may wish to prepare for the National School Boards Association (NSBA) Advocacy Institute in Washington, D.C. from February 4-6, 2018. The 2018 Institute will give attendees an opportunity to lobby their own members of Congress on Capitol Hill. 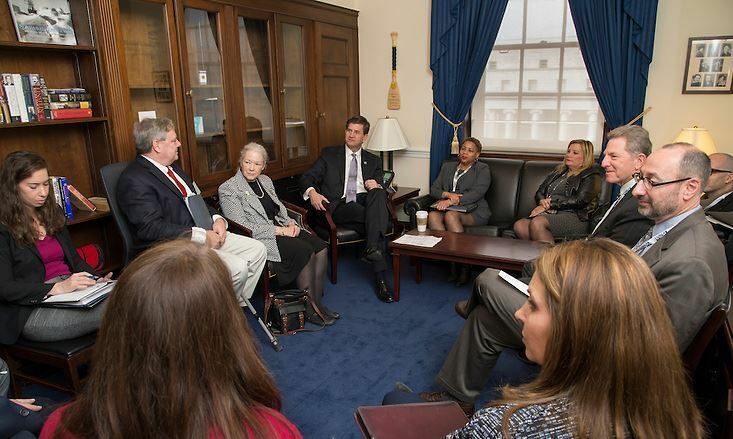 Meetings with the Illinois delegation will be a particularly important opportunity to discuss the direction of public education and protection of local governance in Congress. The Institute, to be held Sunday through Tuesday, is designed to update attendees on current federal issues affecting public education and teach effective advocacy strategies. Programing includes interactive panel sessions, nationally recognized speakers, and networking forums to allow colleagues to share best practices in advocacy. “Attending Advocacy Institute will be a great opportunity to be one of the first voices the new Congress hears from on what their priorities should be regarding public education,” said Susan Hilton, IASB director of governmental relations. Last year more than 21 board members and superintendents from 12 Illinois school districts took part in the national lobbying event. IASB also sent officers and staff, including President Phil Pritzker, Vice President Joanne Osmond, Past President Karen Fisher, Executive Director Roger Eddy, Deputy Executive Director Ben Schwarm, and Susan Hilton. More information about the Advocacy Institute and the agenda can be found on the NSBA website. and deadlines, including key election dates. Boards of education have until Tuesday, Jan. 2, 2018 to place tax and bond referenda or other public policy questions on the Mar. 20, 2018 general primary ballot (10 ILCS 5/28-2). School board secretaries have until Thursday, Jan. 11, to certify those questions to the county or municipal election authority (10 ILCS 5/28-5). These are among the numerous dates and deadlines for school districts that can be found on IASB’s 2017-2018 Annual School Calendar. For information on past public policy questions, including specific school finance questions, visit the Illinois State Board of Elections referenda search website. The Illinois Association of School Boards welcomes Tim Custis of Washington to the Association’s Board of Directors. Custis was seated November 19 on the IASB Board as the representative of the Central Illinois Valley Division. He had served as division Chairman since 1996, and as a member of IASB Service Associates since 2001. Custis was elected to the Washington SD 52 Board of Education in April. 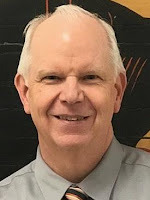 He formerly served as a school board member in two different districts, namely Washington CHSD 308, from 2001 to 2017, including multiple terms as vice president, and Washington SD 50, from 1996 through 2001. Custis replaces former division director, Thomas Neeley, who was elected by the Association’s Board as IASB Vice President on November 19 after two years as IASB Treasurer. Neeley has served for 28 years on the Morton CUSD 709 Board of Education. The IASB Board of Directors is represented by one director for each of the 21 geographic divisions, a representative from the IASB Service Associates, and three officers: president, vice president, and past president. 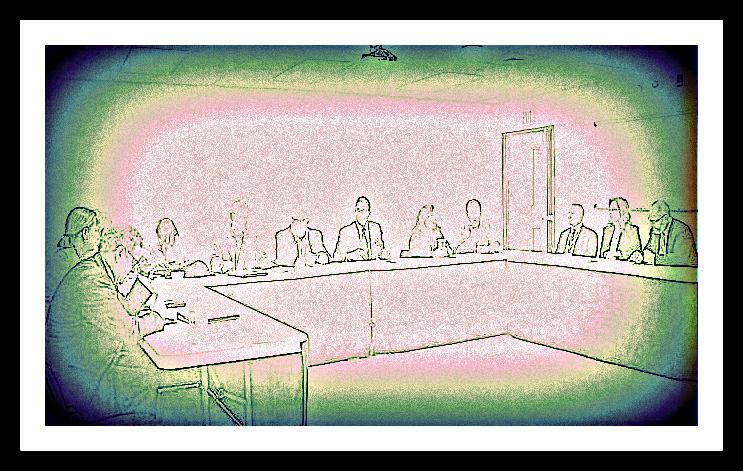 The board meets quarterly and is responsible for the governing policies of the Association. This is the last chance for attendees of the 2017 Joint Annual Conference to weigh-in about their Conference experience. The online evaluation survey will close at the end of business on Monday, Dec. 4. The 27-question survey should only take a few minutes for respondents to complete. The following are editorials, commentaries, and opinions from various sources regarding public education, collected in November 2017. The views and opinions of authors expressed below do not necessarily state or reflect those of the Illinois Association of School Boards. The appearance of external links does not constitute endorsement by the Illinois Association of School Boards of the linked web sites. All links are provided with the intent of informing readership of issues relating to public education in Illinois. IASB's Board Development and Policy Services departments have teamed up to present a webinar, which will cover recent changes in legislation and how these changes will impact the Policy Reference Manual. The webinar, titled "PRESS Issue 96 -- 10 Bundles of Legislative Joy" is free and will take place Wednesday, November 29 at noon. Registration is available through IASB's Online Learning Center. Visit iasb.com, and select the yellow "My Account" button to log in, then choose the red Online Learning tab. 2017 Joint Annual Conference participants have an opportunity to help IASB improve future conference programming by completing an online evaluation survey. The survey is available until Dec. 4, 2017. There are five sections and a total of 27 questions on this survey. The sections include planning, Conference features, presenters and staff, overall experience, and what can be improved. The survey should take five to seven minutes to complete. Limits State and Local Tax Deductibility (SALT) deductions for taxpayers to property tax deductions up to $10,000. Expands Coverdell education savings accounts to allow contributions of up to $10,000 to private schools, thereby providing a tax-advantaged investment account for private school tuition. Terminates advanced refunding that allows districts/communities to refinance bonds at lower interest rates, as well as private activity bonds and tax credit bonds used by school districts (Qualified Zone Academy Bonds, Qualified Energy Conservation Bonds, and Clean Renewable Energy Bonds). Eliminates the $250 tax deduction for teachers who use their own funds to augment instructional materials and classroom supplies for students. Would repeal SALT deductions altogether. Would terminate advance refunding and does not address tax credit bonds or private activity bonds. Would double the $250 tax deduction, to $500, for teachers who use their own funds to augment instructional materials and classroom supplies for students. Click here to read the full Federal Legislative Report, including Fiscal Year 2018 appropriations and the status of the Carl D. Perkins Career and Technical Education Act (CTE). 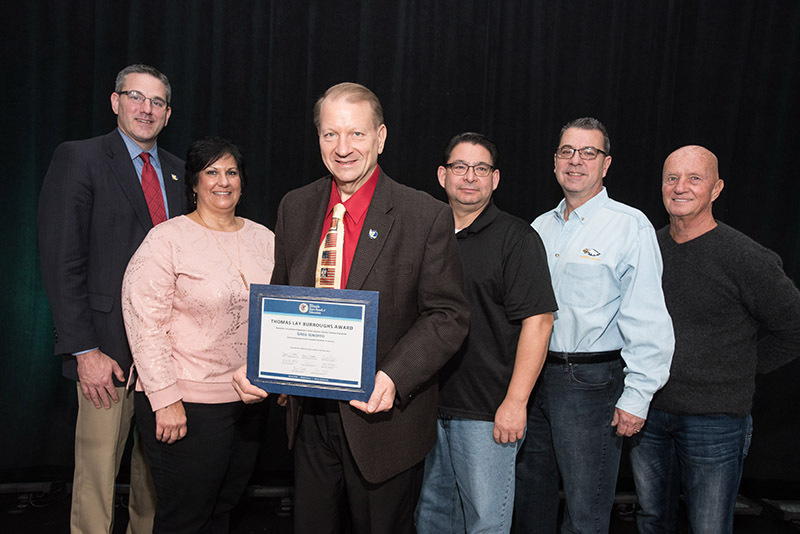 Gregory Ignoffo, president of Leyden Community High School District 212, was presented with the 2017 Thomas Lay Burroughs Award at the Joint Annual Conference on Sunday as the state’s outstanding school board president. 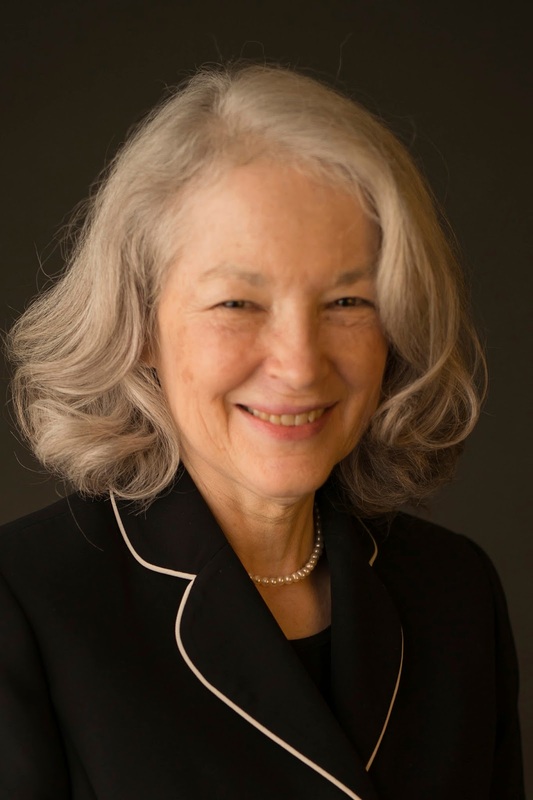 Ignoffo has been a member of the Board of Education in Franklin Park for 18 years, including 12 years as president. ISBE also noted that the initiative secured a device for every student, but not all students had web access in their homes. Ignoffo partnered with Sprint’s ConnectEd Initiative to secure free WiFi hotspots for all students in need and worked with the District 212 board to require that all new school buses purchased have WiFi, ensuring equitable access to digital learning for all students. Ignoffo also helped to develop the plan for a five-year, $80 million renovation project for two high schools, according to Cross, including one that is nearly 100 years old. The renovations will include a new daycare and preschool facility that will provide a local daycare option for families and double as a learning lab for students to earn industry child care credentials. Leyden CHSD 212’s numerous awards and distinctions demonstrate Ignoffo’s continuous pursuit of improvement and excellence in serving students. Leyden CHSD 212 recently received the AdvancED District Accreditation (2010, 2015), College Board National Advanced Placement District of the Year (2014), Chicago Tribune Top 100 Workplaces (2015, 2016, 2017), National School Board Association Magna Award (2015), Digital Content and Curriculum Award - Center for Digital Education (2014), and District of Distinction - District Administration Magazine (2015). A proposal that would allow school districts to request reimbursement from the local election authority for expenses relating to the use of school facilities as polling places was approved by the membership of the Illinois Association of School Boards. Another proposal supporting a statewide County School Facility Occupation Tax did not get membership approval. Delegates representing 367 school districts participated. 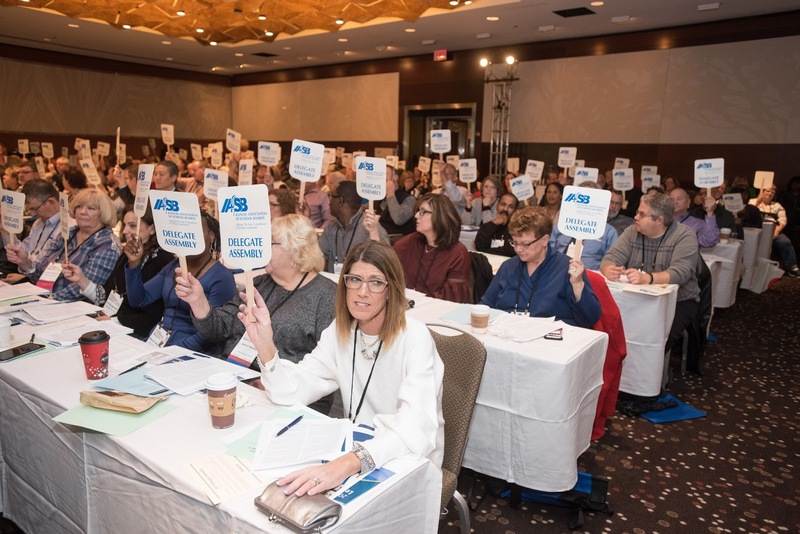 Representatives from 367 school boards considered resolutions on a variety of public education issues at the Association’s annual Delegate Assembly. 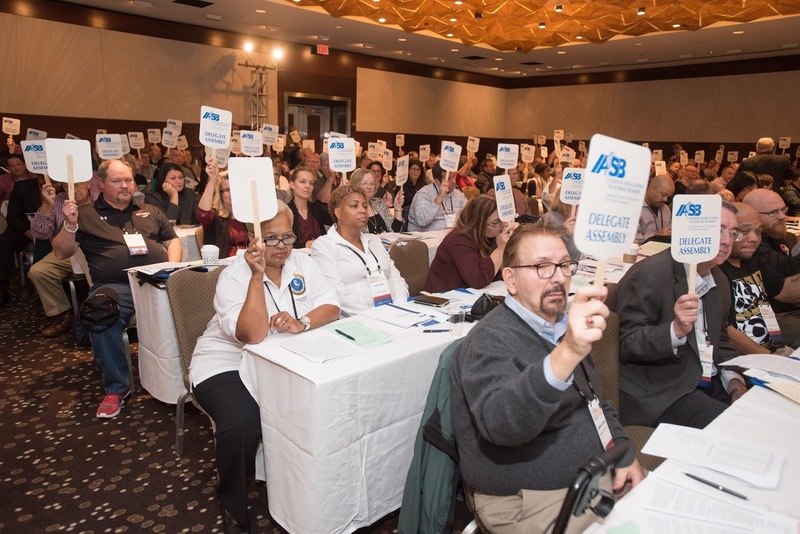 The assembly was held Nov. 18 in conjunction with the 2017 Joint Annual Conference in Chicago. In addition to setting legislative priorities, IASB delegates elected a new president and vice president. Joanne Osmond, a member of the Lake Villa CCSD 41 Board of Education, is the Association’s new president. She has represented the Lake Division on the IASB Board of Directors since 1996 and served the last two terms as the Association’s vice president. Osmond replaces Phil Pritzker, a member of the Wheeling CCSD 21 school board. Thomas Neeley, a member of the Morton CUSD 709 Board of Education, is IASB’s new vice president. He has served as the Association treasurer since November 2015 and has been a member of the IASB Board of Directors for 10 years, representing the Central Illinois Valley division. Osmond and Neeley will serve one-year terms. The slate was presented by a nominating committee, which was chaired by past president Karen Fisher and included directors Mark Christ, Dennis Inboden, Sue McCance, and Mary Stith. Directors Carla Joiner-Herrod and John Metzger served as alternates. Delegates also received the Association’s financial report from Neeley and a written annual report from IASB Executive Director Roger Eddy. 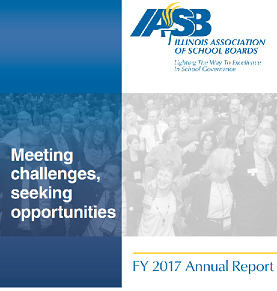 His report covered IASB’s outlook for public education in Illinois and reviewed the Association’s efforts to manage the challenges of improving that outlook. A memorable moment took place at the end of the Delegate Assembly, when delegate Don Choate, of Jonesboro CCSD 43, was honored with an ovation for 50 years of service as a school board member. based on the adopted resolutions. The resolution process begins at the local district level. Each resolution is originally proposed by a member district, reviewed by a 21-member Resolutions Committee, and then brought before the Delegate Assembly for any discussion and vote. The adopted resolutions set IASB’s policies and establish the legislative direction of the Association and its 843 member districts. The committee did not approve the one-percent sales tax proposal, submitted by Sangamon Valley CUSD 9, but it was brought for reconsideration by the assembly. “School districts must look for all sources of revenue, to achieve the elusive goal of equity for all students,” said Sangamon Valley board member Martha Leeper. “It’s about zip code discrimination, and we have a chance to change it,” said board member Bill Alexander of New Berlin CUSD 16, a co-sponsor of the proposal. Those opposed to a statewide application of the one-percent tax proposal cited concerns of local control. “The resolution takes the legwork out of it. It is the duty of the board to prove the sales tax to its community. We should allow this to be a local control issue,” said Edmar Schreiber, board member at Bond County CUSD 2 in Greenville. The Delegate Assembly voted 225-115 against supporting a statewide County School Facility Occupation Tax. Delegates agreed with the resolution to support legislation amending the School Code to reimburse school districts for costs, including security, associated with providing a polling place for elections. This resolution, proposed by Indian Prairie CUSD 204, Naperville, passed by a vote of 157 to 148. Some delegates cited the current rancor in politics and the need for safer voting sites. Others said that some districts currently cannot refuse to provide school facilities as polling places, despite the additional burden of attendance issues, staffing, security, and other costs involved in opening schools for elections. Three additional resolutions were approved without discussion. One calls for the Illinois State Board of Education to report discrepancies in state-required test scores, including differences between paper-and-pencil scores and electronic testing, and between electronic testing methods. This resolution was proposed by Altamont CUSD 10. Another resolution amended a current IASB position regarding the Property Tax Extension Limitation Law (PTELL). IASB will support legislation that allows a school district to levy an amount less than the PTELL limit, without penalty for raising the levy in the three subsequent years. This would encourage districts to levy only the amount necessary each year. Delegates also reaffirmed an IASB position on state-authorized charter school funding. 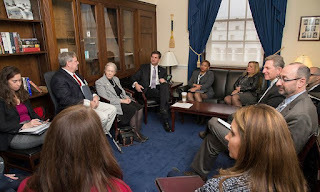 IASB will continue to support legislation that creates a new methodology for funding state-authorized charter schools. Two other resolutions that were not recommended were not appealed and therefore did not come up for a vote. These positions can be found online at www.iasb.com/govrel/constposstatement.pdf. A new IASB Belief Statement, to clarify the School Code to employ competitive bidding practices for technology upgrades and energy savings, was also adopted. This document is also available online at: www.iasb.com/beliefs.pdf. Joanne Osmond, Lake Villa CCSD 41, is the new president of the Illinois Association of School Boards. The new vice president is Thomas Neeley, Morton CUSD 709. 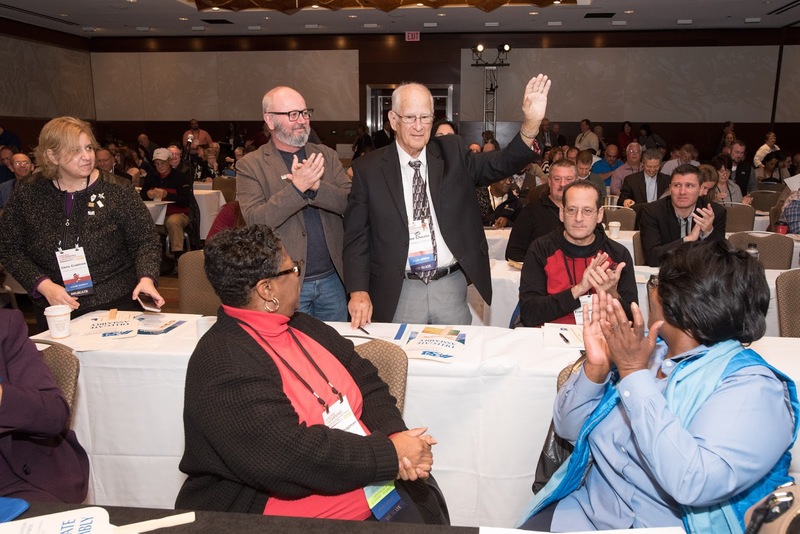 Both were elected at the Association’s Delegate Assembly, held Nov. 18 in Chicago. They will serve one-year terms. Phil Pritzker, Wheeling CCSD 21, who completed his second term, is now immediate past president. 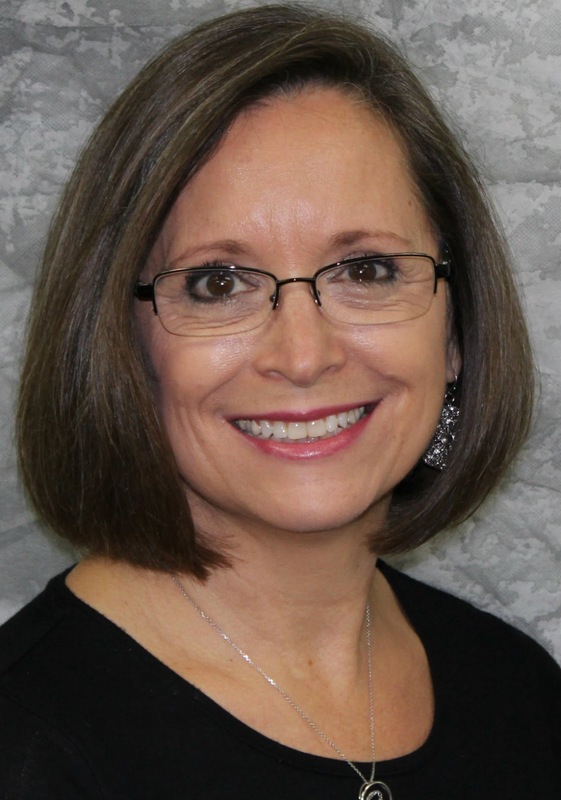 Linda Eades, Northwestern CUSD 2, was named treasurer, replacing Neeley. The IASB Board of Directors also made committee assignments at its annual reorganizational meeting on Sunday, Nov. 19. Joining Osmond, Neeley, Pritzker, and Eades on the Executive Committee are directors Carla Joiner-Herrod, Lindop SD 92; Simon Kampwerth Jr., Peru ESD 124; Mark Harms, Flanagan-Cornell Unit District 74; and Dennis Inboden, Robinson CUSD 2. Other committees, to be announced, include the nominating committee, the audit committee, and the policy review ad hoc committee. IASB also annually appoints an IHSA representative; co-chairs for the 2018 Joint Annual Conference, and delegates to the 2018 NSBA Delegate Assembly. Sunday’s meeting was the final official event for past president Karen Fisher, Ottawa THSD 140. Fisher has been active on the IASB Board of Directors since 2007, serving as Starved Rock Division director, vice president, and president. The Board of Directors has supervision, control, and direction of the affairs of the Association. The Board consists of elective officers and 21 regional directors. The chairman of the IASB Service Associates and the IASB executive director are ex-officio members. The next meeting of the Board of Directors is scheduled for March 2-3, 2018, in Lisle. To recognize the outstanding efforts of the nearly 6,000 elected school board members throughout the state, Wednesday, Nov. 15, is designated as “School Board Members’ Day” in Illinois. The honorary day offers an opportunity to recognize the leadership provided by local boards of education and to build a stronger relationship between school board members, the community, faculty, and parents. IASB provides local districts with resources to observe the day in their schools and communities. Links to these materials are available online. IASB Executive Director Roger Eddy shared his thanks for the service and leadership provided by Illinois school board members is the video message below. Among 228 other educators honored at the banquet was the 2018 Teacher of the Year, Lindsey Jensen, an English and literature teacher from Dwight Township High School District 230. 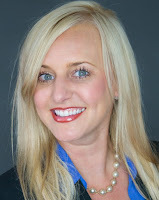 Jensen says she believes “teaching requires becoming part of students’ lives and making connections that no other professional experiences.” She teaches advanced placement English, drama, Shakespeare, literature, and composition to juniors and seniors in high school. State education officials said Jensen’s peers recommended her because of her infectious positivity, as well as the high standards she sets for students. Jensen began her career in education as a teacher’s aide in 2005; she is now in her ninth year as a high school English instructor. Local school district leaders and members of school communities nominate candidates for this recognition. A committee of peers, organized through the Illinois State Board of Education (ISBE), chose the award winners who were honored this year. The committee represents statewide education organizations and includes former award winners. The 235 recipients received recognition on three levels and across multiple categories, including classroom teacher, teams, early career educator, school administrator, school board member, community volunteer, education service personnel, and student support personnel. A complete list of local recipients by county can be accessed on ISBE’s Those Who Excel winners' list.